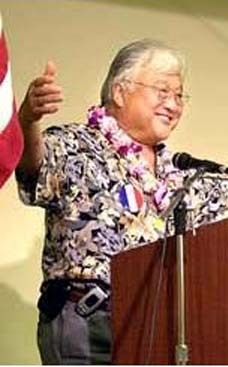 Peace Corps Online: July 29, 2005: Headlines: Figures: COS - Cameroon: Diplomacy: COS - Korea: New York Times: American negotiators, led by Christopher R. Hill, moved past generalities in talks with North Korea and focused on the specifics of their dispute over the nuclear program. 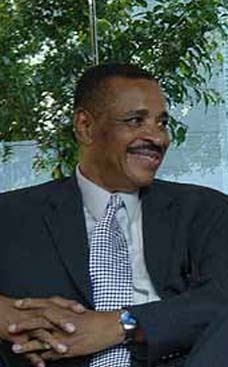 July 29, 2005: Headlines: Figures: COS - Cameroon: Diplomacy: COS - Korea: New York Times: American negotiators, led by Christopher R. Hill, moved past generalities in talks with North Korea and focused on the specifics of their dispute over the nuclear program. Peace Corps Online: Directory: Cameroon: RPCV Christopher R. Hill (Cameroon) : RPCV and Diplomat Christopher R. Hill (Cameroon): July 29, 2005: Headlines: Figures: COS - Cameroon: Diplomacy: COS - Korea: New York Times: American negotiators, led by Christopher R. Hill, moved past generalities in talks with North Korea and focused on the specifics of their dispute over the nuclear program. American negotiators, led by Christopher R. Hill, moved past generalities in talks with North Korea and focused on the specifics of their dispute over the nuclear program. Mr. Hill has recently emphasized it is unlikely that this fourth round of talks will produce a breakthrough but that participants instead are hoping to agree to a statement of "shared principles." In Washington, an official said the first two principles should be a commitment to denuclearization of the Korean peninsula - which North Korea has agreed to before - and a commitment that North Korea would not transfer nuclear technology to any other state or outside group. 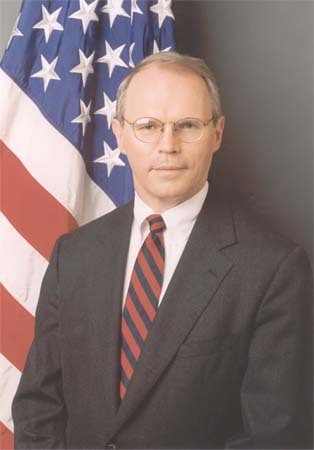 Christopher R. Hill, assistant secretary of state for East Asian and Pacific Affairs and former U.S. ambassador to South Korea, served as a Peace Corps Volunteer in Cameroon. WASHINGTON, July 28 - In negotiations with North Korea this week, the Bush administration has for the first time presented the country with specific evidence behind American allegations that North Korea secretly obtained uranium enrichment technology from a founder of Pakistan's nuclear program, two senior administration officials said. The decision to share the intelligence with North Korean negotiators, the officials said, was part of an effort to convince North Korea that any discussions about disarmament must cover not only the nuclear weapons program it has boasted about, but a second one that it now denies exists. Putting on the table the evidence that North Korea obtained technology from the network built by Abdul Qadeer Khan is significant because it is an effort to break an impasse over the scope of North Korea's nuclear program. American officials were reluctant to describe the North Korean response, but one official said that when presented with the evidence - chiefly the testimony of Mr. Khan - "they argue with us about it." American officials have never made public the details of Mr. Khan's statements to Pakistani officials, who have declined to make him available for direct interrogation. But they have shared the information widely with Asian allies, and elements of it have leaked out, including Mr. Khan's assertion - doubted by several specialists in the American intelligence community - that the North Koreans once showed him what they said were three fully assembled nuclear weapons. The two Bush administration officials declined to speak on the record, citing the delicacy of both the intelligence and the current negotiations. They would not describe how much detail had been given to the North Koreans. The presentation came in the first two days of talks in Beijing, which American officials said may stretch into next week. On Thursday, American negotiators, led by Christopher R. Hill, moved past generalities in talks with North Korea and focused on the specifics of their dispute over the nuclear program. Later, Mr. Hill said he hoped the talks had advanced enough so that the six nations taking part could soon start drafting a statement that would advance the disarmament process. The other participants are China, South Korea, Japan and Russia. Mr. Hill said North Korea and the United States found some "common understanding" in their meeting Thursday, but added that "a lot of differences" remained. "I want to caution people not to think we are coming to the end of this," Mr. Hill told reporters. North Korea has long admitted to turning spent plutonium fuel from its nuclear reactors into bomb fuel. 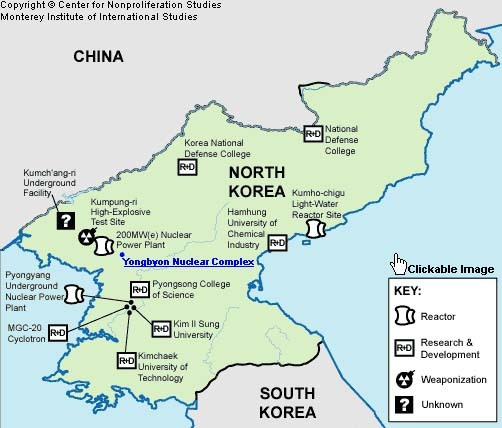 That program is centered at the Yongbyon complex. In February, North Korea declared for the first time that it was a nuclear weapons state. It said it had reprocessed 8,000 fuel rods, turning them into weapons fuel. Specialists inside and outside the government say that fuel could be used to produce six or more nuclear weapons, but there is no independent evidence to confirm that the weapons have been produced. There has long been a dispute about a second nuclear program, one the United States alleges that North Korea began in the 1990's, when the Yongbyon plant was "frozen" under a 1994 accord. That program, the United States alleges, aims at producing enriched uranium, a process easier to hide than producing plutonium. American officials, who first told North Korea that they had evidence of the program in 2002, say North Korea initially admitted to it. Since then, North Korea has denied the program's existence. A senior administration official told reporters Thursday evening that any agreement must include dismantling both programs. But intelligence officials have said they do not know where the uranium program is. "We don't want to be inspecting every tunnel where it might be hidden," the senior official said. "They've got to give it up. That's how the Libyans did it," he said, a reference to Libya's decision to dismantle its program. Mr. Hill has recently emphasized it is unlikely that this fourth round of talks will produce a breakthrough but that participants instead are hoping to agree to a statement of "shared principles." In Washington, an official said the first two principles should be a commitment to denuclearization of the Korean peninsula - which North Korea has agreed to before - and a commitment that North Korea would not transfer nuclear technology to any other state or outside group. The regularity and length of private meetings this week between the United States and North Korea has underscored the vast difference between these and earlier talks when only short and unannounced private discussions took place. Much of the negotiating this week has centered on such diplomatic wrangling as finding a shared definition of denuclearization. "We're pretty close on that," Mr. Hill said. The definition has been a sticking point because North Korea has reportedly tried to use it to challenge whether the United States has nuclear weapons in South Korea, a charge the Americans deny. Earlier this year, North Korea suggested that the focus of the talks should shift to mutual arms reduction. On Thursday, Mr. Hill took an implicit verbal slap at these tactics. "The issue for us was to try to keep these concepts with some basis in reality and not go too far away with polemical ideas or rhetorical ideas," he said. Aleksandr Alekseyev, Russia's top envoy, met privately with both the Americans and the North Koreans on Thursday. "We got the feeling it was a very difficult, concrete talk," he said. He said the two countries moved beyond generalities and began discussing their standoff in specific details. David E. Sanger reported from Washington for this article, and Jim Yardley from Beijing. Chris Buckley contributed reporting from Beijing.